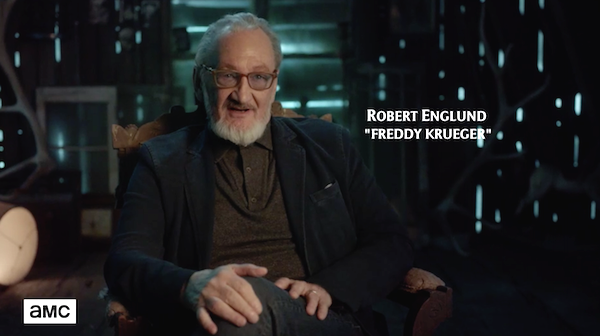 Robert Englund and Greg Nicotero, among others, will appear in Eli Roth’s History of Horror, a seven-part series featuring some of the genre’s biggest voices as they dissect horror’s most terrifying classics. Don’t miss the series premiere, Sunday, Oct. 14 at midnight/11c on AMC. Watch the clip Making a Monster: Bringing Iconic Movie Monsters to Life with Robert by clicking the image below.